There are a number of processes under development which combine the capture of sulphur dioxide and nitrogen oxides in a single unit. Such systems aim to be more cost effective than a combination of an SCR system and a desulphurisation unit. Processes that combine the two include an activated carbon-based process tested in Germany and a similar system with a proprietary absorbent material under test in the USA. Electron irradiation procedures have been developed and tested in Japan and the USA and an electrical discharge technique is also under test. These, and others, are still in the development or demonstration stage and are not yet proven for large-scale application. There are two principal systems for removing particulates from the flue gas of a coal-fired power station, electrostatic precipitators (ESPs) and fabric (baghouse) filters. Invented by the American scientist Frederick Cottrell, the ESP is well established and the technology has been widely exploited. It utilises a system of plates and wires to apply a large voltage across the flue gas as it passes through the precipitator chamber. This causes an electrostatic charge to build up on the solid particles in the flue gas; as a result they are attracted to the oppositely charged plates of the ESP where they collect. Rapping the plates caused the deposits to fall to the bottom of the ESP where they are collected and removed. A new ESP will remove between 99.0% and 99.7% of the particulates from flue gas. Bag filters, or baghouses, are tube-shaped filter bags through which the flue gas passes. Particles in the gas stream are trapped in the fabric of the bags from which they are removed using one of a variety of bag-cleaning procedures. These filters can be extremely effective, removing over 99% of particulate material. 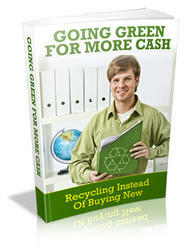 They are generally less cost effective than ESPs for collection efficiencies up to 99.5%. Above this, they are more cost effective. A system that combines a baghouse-style filtration system with an ESP is under development too. This aims to provide a cost-effective high removal-efficiency system, but has not yet been extensively demonstrated. Most coals contain a small amount of mercury and this can easily end up being discharged in the flue gas from a coal-fired power plant. In the USA the emission of mercury is to be regulated and this will necessitate the introduction of effective capture methodologies. ESPs capture up to around 50% of the mercury emitted by a plant while bag filers can remove up to 99%. However the efficiency of collection depends on the precise chemical form of mercury being captured. In the near term it may be possible to improve the capture of mercury by injecting activated carbon particles into the flue gas stream before it reaches the particulate capturing system. Other technologies are also being developed but have yet to be tested on a significant scale. The primary combustible component of coal is carbon and when carbon burns completely in air, it is turned into carbon dioxide. Consequently, the combustion of coal produces large quantities of carbon dioxide. Currently the release of carbon dioxide is very broadly controlled by the terms of the United Nations Framework Convention for Climate Change (FCCC) as agreed in the Kyoto Protocol. This sets targets for carbon dioxide emissions that can probably be met by introducing efficiency measures and by the adoption of more renewable sources of generation. In the long term, however, it is looking certain that the capture and storage of carbon dioxide from the flue gases of power plants will become mandatory. 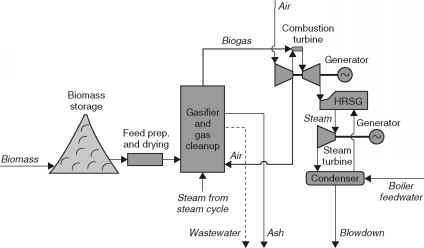 There are a number of methods of carbon dioxide capture under development. These can be broadly classified under chemical absorption, physical absorption and membrane separation. Chemical absorption involves using a chemical to capture and bind carbon dioxide. This chemical is then transferred to a processing plant where it treated to remove the carbon dioxide which is captured and stored. The chemical agent is then recycled through the power plant. Physical absorption involves absorbing the carbon dioxide within a solid compound which is placed in its path in the flue gas stream. The solid is then treated, usually at low pressure, to remove the carbon dioxide, which is again stored. Membrane separation involves exploiting the properties of a special membrane which will allow carbon dioxide to pass through it but will not pass oxygen or nitrogen. Separating the carbon dioxide from the flue gases of a coal-fired power plant solves only half the problem. The second half is to find somewhere to store it. In the short term there may be sufficient demand for carbon dioxide, industrially, to absorb some small-scale capture. One use that is being strongly touted is for enhanced oil recovery. This involves pumping carbon dioxide into oil reservoirs under pressure to force out additional oil. This procedure is already common practice and in many cases the carbon dioxide is specifically manufactured for the purpose. If power plant carbon dioxide could be sold for injection into underground oil reservoirs, this would significantly affect the economics of its capture, and could help make the technology more viable. In the longer term, however, special strategies for storing carbon dioxide will be required. The gas could be stored in underground caverns, as natural gas has been for decades. Other options being explored involve storing it in porous-rock layers underground, or even at the bottom of oceans where the extreme pressures would keep it locked in a solid state. However storage may prove to be a greater technical challenge than capture.